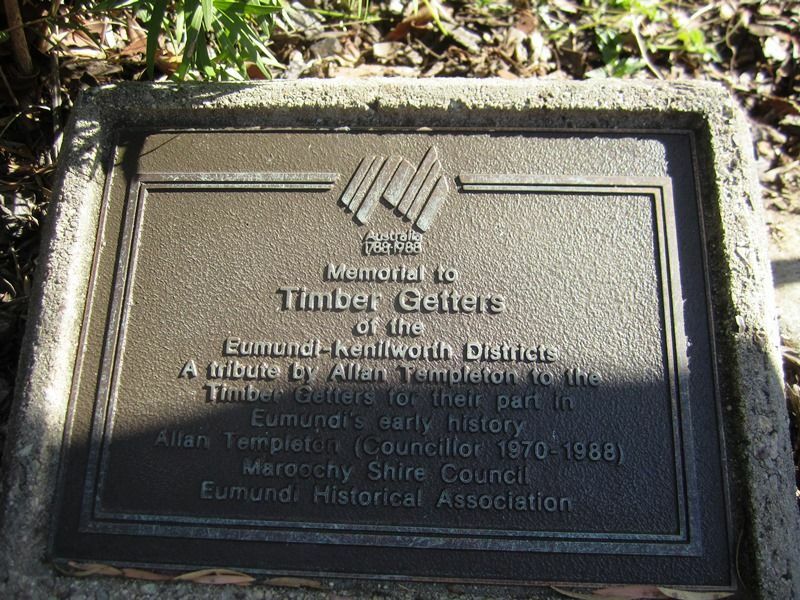 A plaque commemorates the role of timber getters of the Eumundi - Kenilworth District for their in the early history of Eumundi. Note: A sculpture associated with this memorial was removed due to repeated acts of vandalism and deterioration. In 2014 there were plans to re-erect the sculpture. of the Eumundi - Kenilworth Districts.